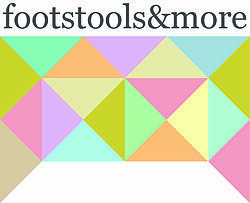 A passionate, independent family company, specialising in making footstools, ottomans and accessories. In 1946, a young Eric Hazelgrave started as an apprentice upholsterer. Since then our family have been involved in helping to furnish British homes, in a variety of roles. More recently, since 2012, we have specialised in making footstools and ottomans, which has proved to be a great success. We now have a large and exciting range of products, and each footstool is made to order in our Yorkshire workshop. 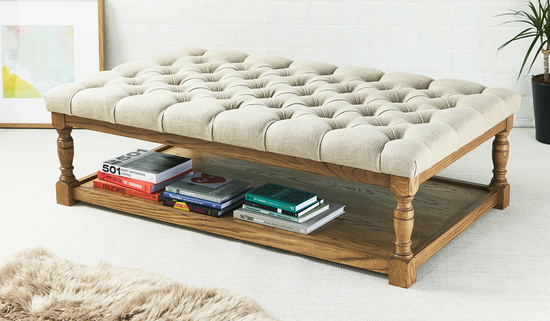 Simply select the style, fabric and leg choice and we will create your perfect footstool. It's important to us that you feel confident with your new footstool. We go to great lengths to ensure our products are made using the best materials available and put together with a keen eye for quality and detail. Our customers are always very happy with our high standard of craftsmanship and we are very enthusiastic about about creating something special for your home. "Excellent service provided, the quality is superb and I thoroughly recommend their products and service." "The footstool exceeded all our expectations and I cannot recommend this company high enough." "Quick delivery & excellently packaged product"
"Love my pouffe and the guys were fantastic - sent me plenty of swatches and helped with sizes. Couldn't be more pleased." Whilst every product is made to order it is not classed as bespoke as we offer these options as standard. This means you can return products if they are not right for your home. However, we do ask that you have a good measure up, and request free fabric samples. If you are quite sure of the fabric, feel free to order as we automatically send a free sample for you to check anyway.